Your Marketing Circle Starts with "You." People will work with you because: 1) they know, like and trust you and 2) they want or need what you have to offer. In terms of your marketing circle, "You" is made up of 1) everything that makes you likeable and trustworthy and 2) your offerings. Let's look first at what makes you likeable and trustworthy. Why do you do the work you do? Did you become an attorney to promote justice, solve problems, help business grow and drive our economy? Did you become an accountant or wealth manager to help businesses and individuals grow and manage their financial well-being? Your purpose and commitment make you likeable and trustworthy to your desired clients. What are your strengths? Are you good at seeing how pieces interrelate, organizing information, negotiating on behalf of your clients, persuading juries, building relationships? If you aren't clear about your strengths, you can gain clarity by reflecting on what you do well and enjoy doing, using measurement tools - I use and recommend PREP Personal Strengths Inventory - and asking clients and colleagues. Again, your strengths make you appealing to your desired clients. What are your education and experience? Your education is necessary to assure your trustworthiness, but it doesn't distinguish you from others with a similar education. When you add your experience to your education, however, you distinguish yourself and build both your likeability and trustworthiness to your desired clients. Overlay your purpose, strengths, education and experience and you've defined half of "You." Now let's look at your offerings. Your purpose, strengths and expertise should drive your offerings. Your offerings must meet a market need, but we'll look at that later, when we address "Clients" in our next "Marketing Circle" post. Your offerings, for purposes of your marketing circle, include your services, any products you offer, your delivery systems and your client service - everything your clients will receive and experience in the process of working with you. Think of - and develop - your offerings based on 1) what you want to do and achieve for your clients, 2) your expertise and ability to deliver results and 3) the excellent client experience you provide. Your offerings, combined with the factors that contribute to your likeability and trustworthiness, make up "You" in your Marketing Circle and make you attractive to your desired clients. Watch for more to follow about Your Marketing Circle in future posts: Clients, Messaging and Feedback. It sounds simple, right? 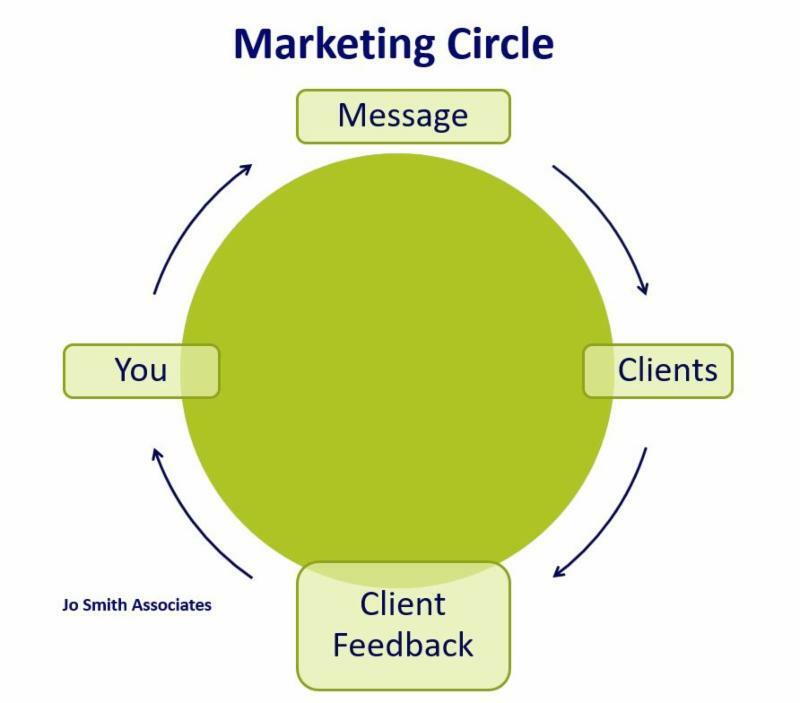 If you want help planning and implementing your firm's or personal marketing circle, contact us at www.josmithassociates.com, josmith@josmithassociates.com or 503.913.0499. 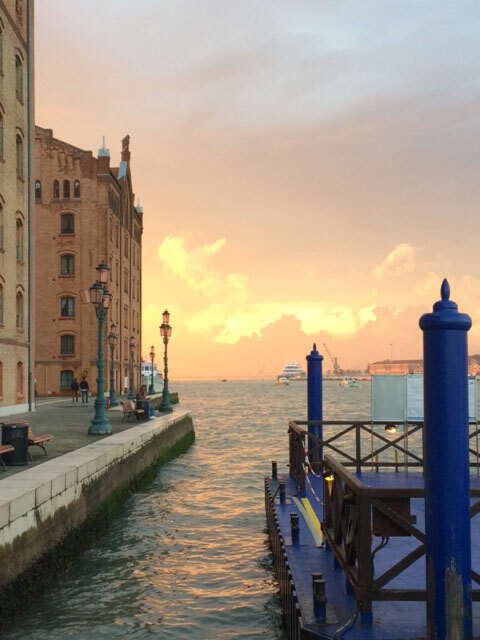 Sunset in Venice: The stunning close to another world adventure.